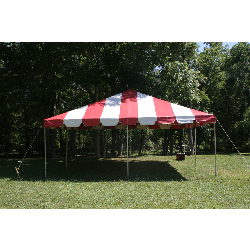 Looking for tent rentals? We’ve got you covered! 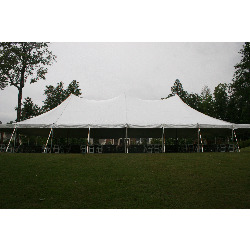 Having an event where your guests are going to be outdoors but need to be out of the elements? 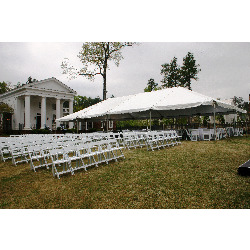 This could be a wedding, reception, cookout, family reunion, corporate event, or any outdoor celebration. 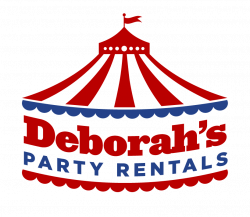 Well Deborah’s Party Rentals has tent rentals just for you! 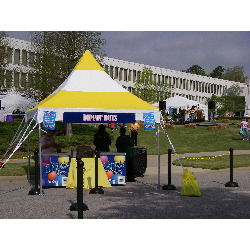 We have nearly 30 tent possibilities to choose from and they come in a wide variety of styles, colors and sizes. 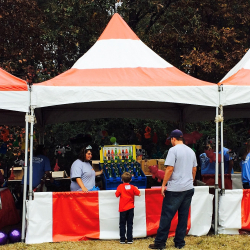 Our tent rentals are as varied as your needs. 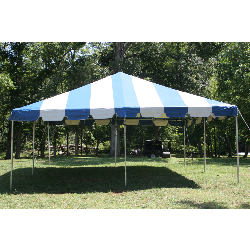 We have high peaked tents, low peaked tents, white tents, colored tents (red and white, blue and white, yellow and white), small tents, and massive tents. 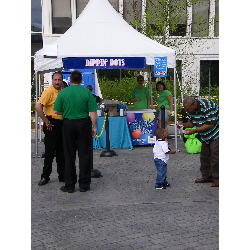 Our tent rentals come in sizes from 10×10 to 40×80 with all sizes in between. 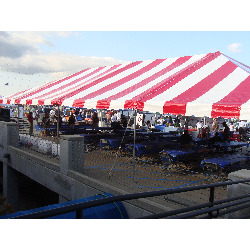 No need is to big or too small for our tent rentals. 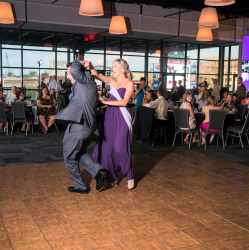 Having that wedding reception or other event and don’t want to be cutting a rug where you just cut the grass? 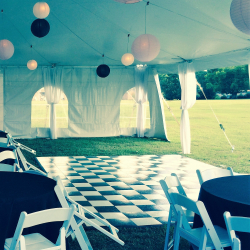 We have dance floors in both teakwood and black & white. 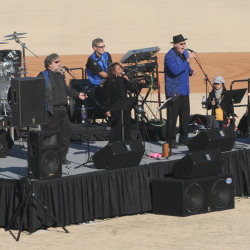 If you need that band to really stand out, then rent one of our stages. 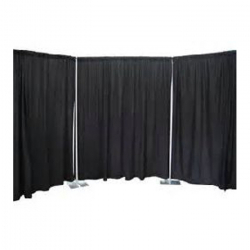 They come in a variety of sizes with skirting included. 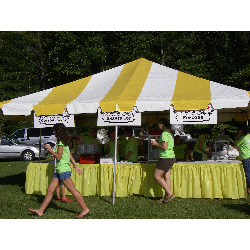 Need to create a line for that buffet table? 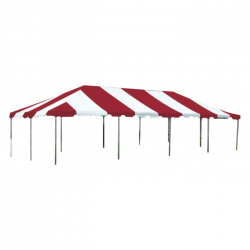 We’ve got stancions with both black ropes and red ropes among our tent rental accessories. 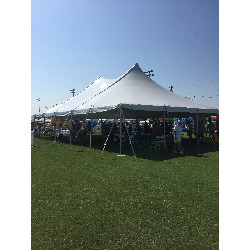 If you are looking for pipe and drape for that trade show or exhibit then you’ve come to the right place.Take all the worry out of your big event with tent rentals and accessories from Deborah’s Party Rentals. 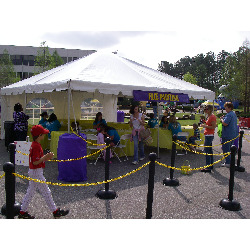 Don’t forget we also have tables and chairs as well as a variety of other party rental items. 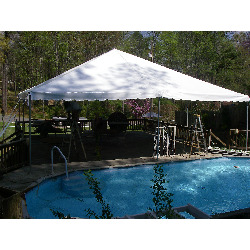 Call us at (205)631-2670 | 1-800-651-2670,or visit our Facebook page.